Dairy is a one-bedroomed stone cottage that comfortably sleeps three by adding a guest bed or cot. Both are available on request. The spacious gallery bedroom has a double bed and en-suite bathroom. Downstairs is an open-plan living and dining area, with exposed original wooden beams throughout. 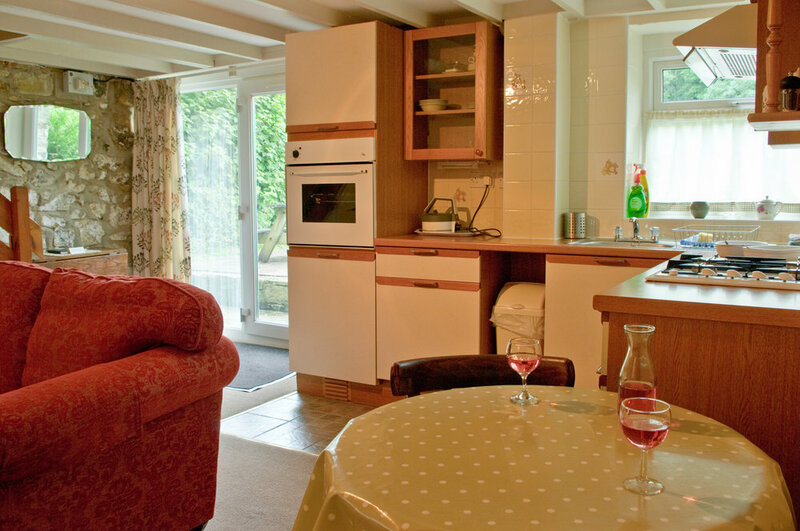 Dairy’s fully equipped fitted kitchen includes a fridge, electric oven and microwave, and looks out on to the cottage’s private garden, with patio and picnic table. 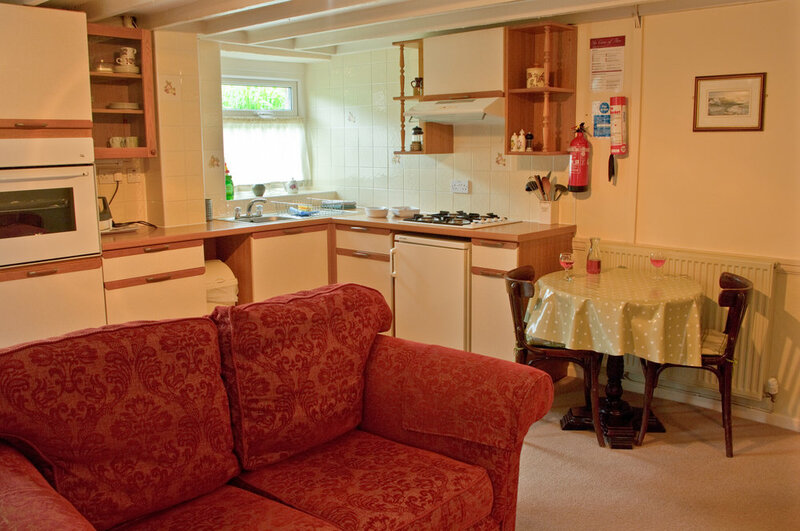 Dairy can be linked with Beech cottage to create a very comfortable cottage for up to seven people – very useful for extended families or friends wanting to share.